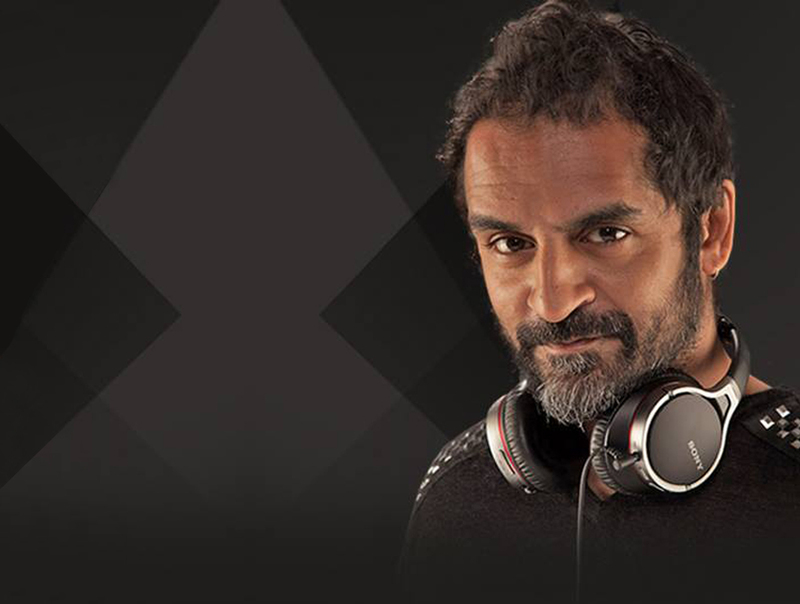 Karsh Kale is no stranger to the Bollywood scene; since his early involvement in the Asian Massive movement in the early 2000s and marrying classical Indian influences with the electronic sounds of where he grew up, he has made numerous forays into scoring and composing for Bolloywood projects. He has also started a new project of late with Ankur Tewari (also the music supervisor for Gully Boy), Little Whale. 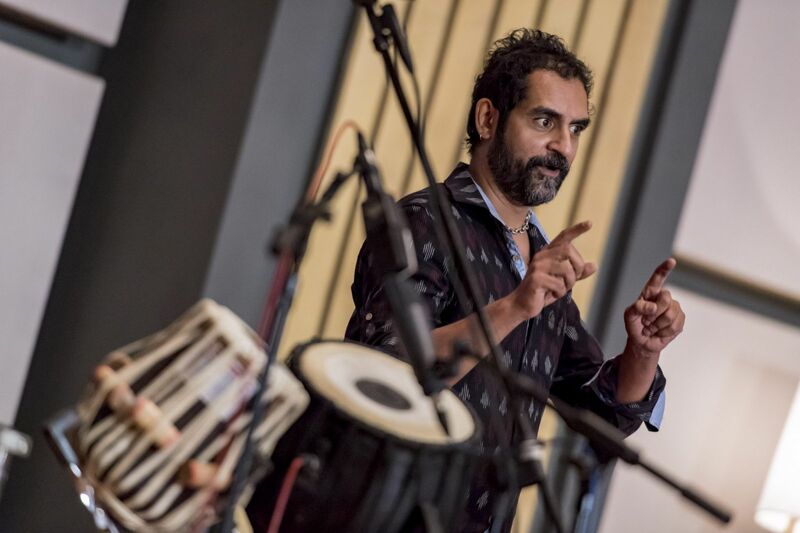 His latest movie score is the much-hyped Gully Boy; a movie that follows the difficult birth and meteoric rise of Mumbai hip-hop (source of the much used term gully rap). Below, he expands on his experience scoring the film, the nature of the Mumbai music movement and more. RSJ: You've composed in Bollywood before, and done a few films with crossover/left of field themes like Chutney Popcorn, Karthik Calling Karthik (where he previously worked with Farhan Akhtar and Ritesh Sidhwani, producers of Gully Boy) etc. This movie is different; it comes at a time when there is a whole new musical movement that's spreading quickly and has a lot to do with storytelling in itself. What about scoring this movie was different compared to things you've worked on in the past? KK: Well, hip-hop itself is one of the characters in the film. There’s also the backdrop of Mumbai, so I approached the score in many layers. The art form, the place where these characters are growing up (Dharavi)… There’s also the fact that the place is going through change. And then there’s the nostalgia that the older characters have about music and their city, and also the nostalgia people have for hip-hop. So there were many angles to explore. I feel I was well-equipped to do it because I have the international influences, I’ve grown up near a lot of hip-hop culture and I have also been in the world of Indian music. RSJ: As different as it is, Gully Boy (from what I could tell in the trailer) has themes familiar to most cultural movies in India; the family stopping new things from happening (Vijay Raaz's character, the dad type). Do you think Bollywood, while accepting new things like this movie, is also having similar troubles generally? KK: I feel like the story works to its advantage… A story such as this does have a type of formula which will help it. In this case, it is not only a real life story but also based on something to which people can easily relate. It can stand up to the Bollywood machine because of the fans of the scene and the music in it, the same way the musical movement itself got so much support and so many people became fans of it. RSJ: Having been part of a cultural movement yourself (with Asian Massive), do you see any parallels between certain location-specific musical movements and what's going on in Mumbai? Asian Massive was a lot like hip-hop itself in its conception itself. It was very much a movement that in the streets, in people’s bedrooms and on the ground. We did not have the internet back then, so we had to do it the old-school way; putting up flyers, doing self-promotion and so on. We had to battle other crews that were also putting up flyers… Most genres like heavy metal or punk rock have been from the ground up. Hip-hop is no different… there’s a DIY aspect to most musical movements that is also happening in Mumbai. RSJ: Since the scene has blown up very recently, there are a lot of sounds being used in the genre. One thing to be noticed is that there's a lot of beatboxing and rapping when they were doing cyphers (in the VICE doc on the subject, for example). That's a pretty old school sound... Slick Rick and Doug E Fresh made it huge all the way back in the 80s. Have you been using any American hip-hop sounds while scoring this? KK: Yes… regarding beat battles and cyphers, it has always been that way. Even though many artists cop out in a way with DJs or producers and stuff, the on-the-spot battle has always been around as a place that only the hardest rappers went to. It has always been the best way to prove oneself; just stand with a beat and freestyle. That’s what has inspired rappers in a technical sense from the beginning, whether it be in the States or here. RSJ: Even though the scene is just starting to explode, there's an interesting dichotomy to how the Mumbai scene makes music. They write songs that are explicitly Mumbai/ Indian but the culture is something that they absorbed from the States, pretty much. 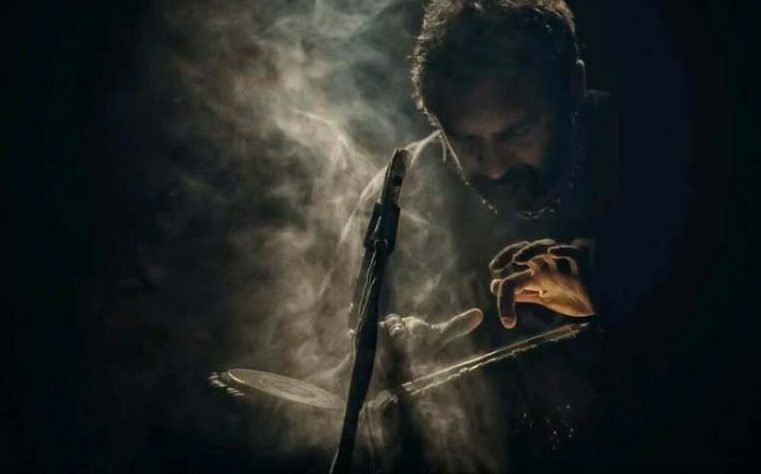 Since hip-hop even in its country of origin changes trends and sounds almost every few years, do you think Indian hip-hop will start using traditional Indian sounds as it evolves? KK: You’ll see some of it in the movie. The local influences are already happening. Any style of music has to address its local traditional music in some sense, though it does not have to necessarily use it as is. For example, flow. There are so many rhythms one hears in the environment; traffic, the sound of a tempo traveler, bhajans… all these are inspirations and rhythms that can (and will) be used in a rapper’s flow. Also, nowadays we can sample pretty much anything, so it’s even easier to have local sounds and influences from one’s environment. If you asked Eric B about his influence, he would say John Coltrane. A lot of people would quote Rakim, but there are also artists that are aware of things around them and around hip-hop. RSJ: Without jumping the gun (of course), you have two songs on the movie's soundtrack as well, yes? Did you work with any Mumbai rappers at all? How was that experience? Was there any exchange of sounds between you who has done things across genres and them? Well, I’ve been lucky to work with many artists over the years, so the process itself wasn’t too unusual. I was very excited to see how they worked, though. One song, Ankur and I laid down the bedrock of the piece, and then we brought people. Kaam Bhari was there to help with flows and cadence; Ranveer (Singh, starring) was also present throughout whole process, learning. Of course, eventually I went back and produced the track, but the process was as such. Karsh has two featured tracks on the movie’s soundtrack. One of them features Raghu Dixit, while both of them have Ankur Tewari on board.